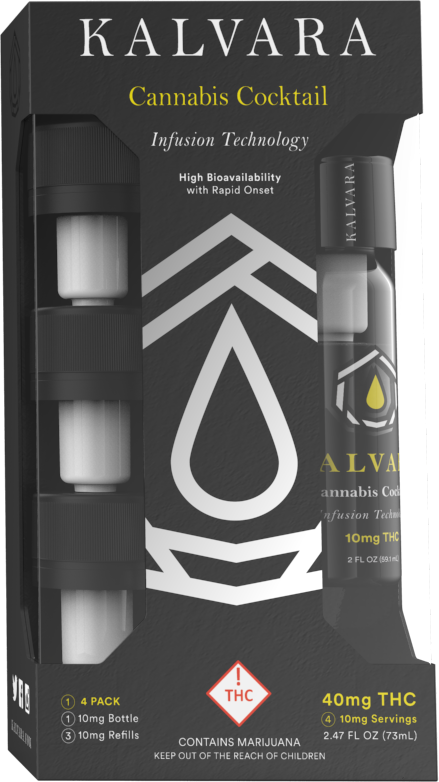 Using the patented, pressurized Vessl closure, Kalvara is carefully crafted to deliver the euphoric effects of cannabis in a simple, clean, and precise dose. Kalvara offers rapid onset and high bioavailability while being free of preservatives, sugar, calories, and chemicals. 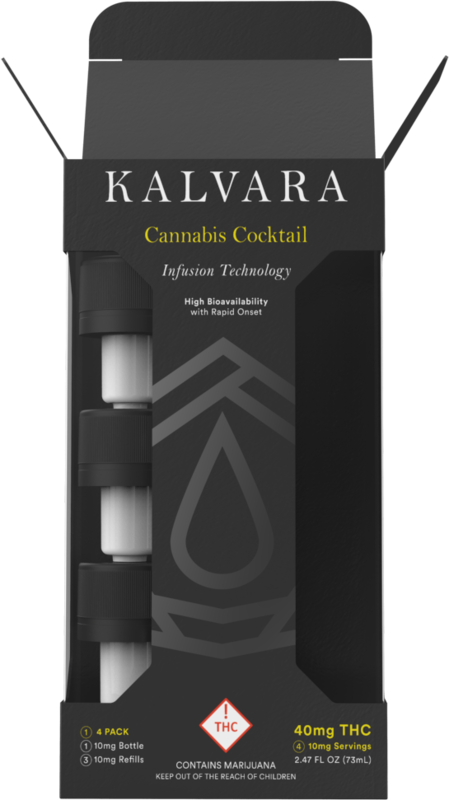 Our signature Kalvara Single includes a 2-ounce reusable bottle, and a single 10mg dose of our premium quality THC compound, sealed in Kalvara’s patented, pressurized Vessl closure, to remain at peak potency for a longer shelf life without the need for refrigeration. 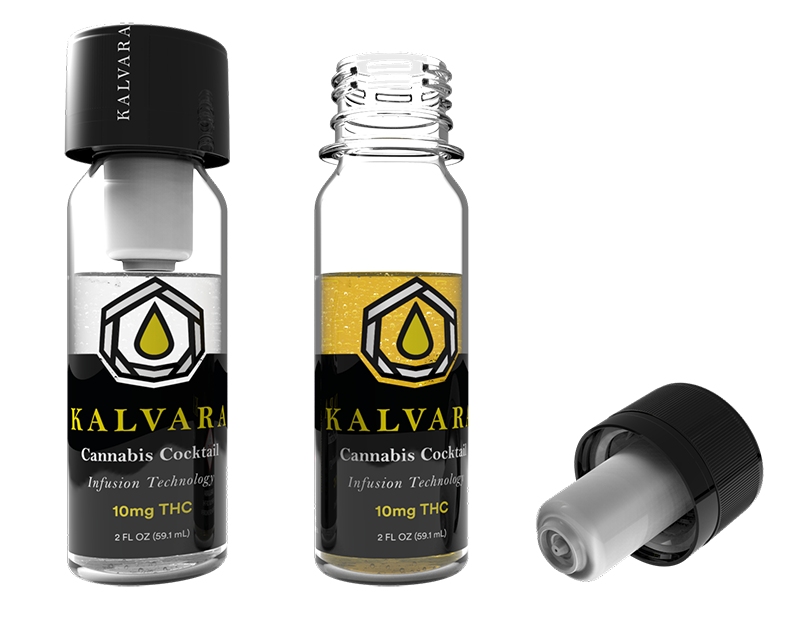 Choose Kalvara in our eco 4-pack for the convenience of getting 4 doses you can enjoy at any time. 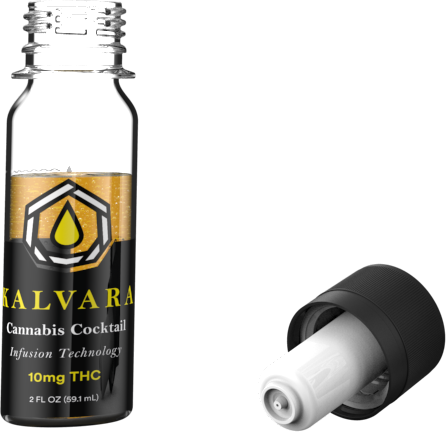 The included bottle is re-usable and the 4 refills, sealed in our patented, pressurized Vessl closure, remain at peak potency for a longer shelf life without the need for refrigeration.